Identified research problem: Little Helper designs, manufactures and distributes baby and children's products and toys. Some of the products in their range are manufactured in China and then shipped to the UK or USA, where the consumer purchased units are delivered to the home via a logistics courier. 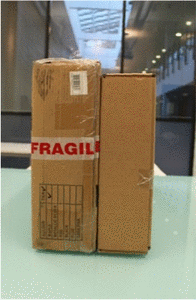 The packaging was previously designed and manufactured in China. In an innovative approach Little Helper contacted Design Futures to help them address a number of identified design problems. The challenge was to develop a packaging design and implementation process that would allow the packaging to be signed off in the UK and then be manufactured and packed in China. The packaging is required to protect the products in transit, provide a positive opening experience for the end user, and be as environmentally responsible as possible. The environmental considerations included reduction of materials, use of sustainable materials, and reduction in size to allow maximum shipping efficiency. The products arrive with the consumer as a piece of flat packed furniture requiring self-assembly. The delivered package for their lead product 'Fun Pod' is heavy (weighing 18kgs), a large size and awkward to handle. The packed product components are of multi size and shape and had vulnerable areas identified. The packaging had previously been developed to prevent breakages in transit, but after a number of design development iterations, had resulted in over 40 separate components, including foams and plastics. The product was therefore presented poorly, had poor environmental credentials, poor shipping efficiency and still significant product breakages occurred. Design Futures analysed the packaging material and packing processes and challenged the assumption that more packaging layers equals better protection. We reduced the amount of packaging materials used, better utilised the inherent strengths of the product components and eradicated all foam and plastics components from the design, improving the customers opening experience. We then trailed and tested the proposed redesign and advised new material specifications and packaging specifications to the client. 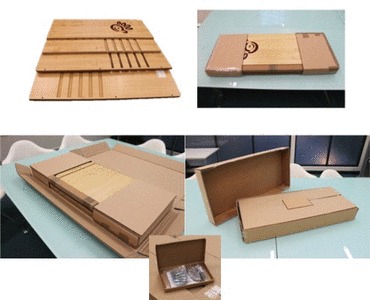 The final output included full size mock-ups for approval, full material specifications and drawings for manufacture in China, and full packaging instructions for use at the packing stage. The resultant outcome was that recorded breakages significantly reduced to less than 1% on the Fun Pod product, a reduction in packaging material usage, a reduced external pack dimensions of 15% allowing a 24% increase in units per shipping container. And the client reports a doubling in orders from US distributors due to the increased confidence in the product quality (a ratifying report from client can be made available).